The very first grants from a 50MW solar farm in Swindon are to be allocated over the next three months. Last July the 50MW Wroughton Solar Park began generating for the first time, bringing a successful end to a project launched by Swindon Borough Council, Public Power Solutions and the Science Museum Group. Community benefit funds were a significant factor in the site’s approval and now, a year on from its connection, the first tranche of funding is to be released. Wiltshire Community Foundation is making a total of £55,000 available, separated into both small and large grants, for projects which will benefit the local community. Small grants of up to £2,000 will be made available to community organisations in the parish areas of Wroughton, Chiseldon, Clyffe Pypard, Broad Town, Broad Hinton, Ogbourne St George, Ogbourne St Andrew, Aldbourne and Baydon. Large grants of up to £20,000 will also be made available for projects that have a focus on science, technology, engineering, maths, the environment, health or play. These grants are to be used for capital or revenue costs, and must be for projects within a 10km radius of the solar farm. Interested projects are being encouraged to bid for funding to Wiltshire Community Foundation, and a deadline of 19 October 2017 has been set. Rosemary Macdonald, chief executive at Wiltshire Community Foundation, said the group was delighted that the array was now able to start contributing to the community. “This solar farm development will give grants to the community for the next 30 years and by working through the Foundation they will also be able to build an endowment fund that will contribute to the local area for many years beyond that," she said. 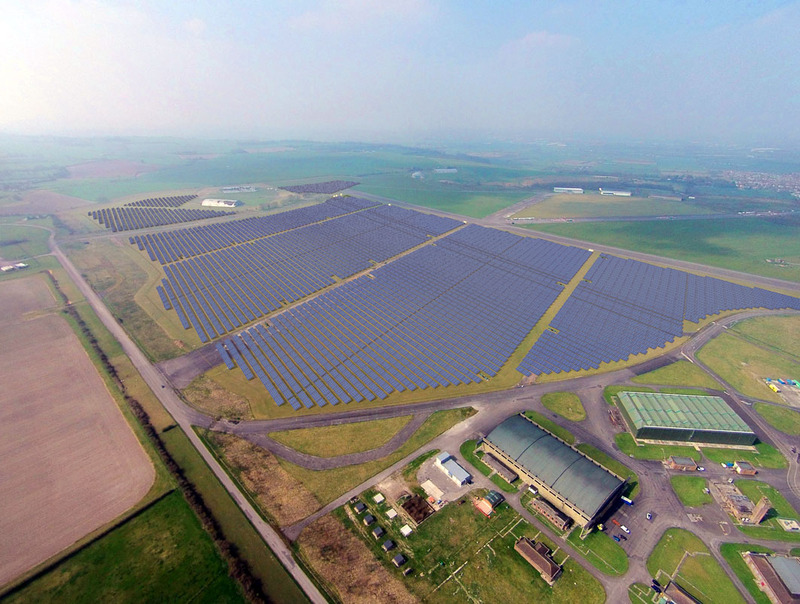 The Wroughton Solar Park had been in development for nearly four years by the time of its completion having been called in by then-communities and local government secretary Eric Pickles. It was green-lit in March 2015, and EPC British Solar Renewables was reported to be working around the clock earlier last year to ensure it finished on schedule.